R&B Best of BBQ - R&B FoodR&B Food ‹ R&B Food > House of Ribs > Grilling the best RIBS since 2012. Svinjska rebarca, Teleće rebro i pileća krilca sa kolutićima od luka, tzatziki rolicom, lepinjom, krumpirom i Ranch umakom. 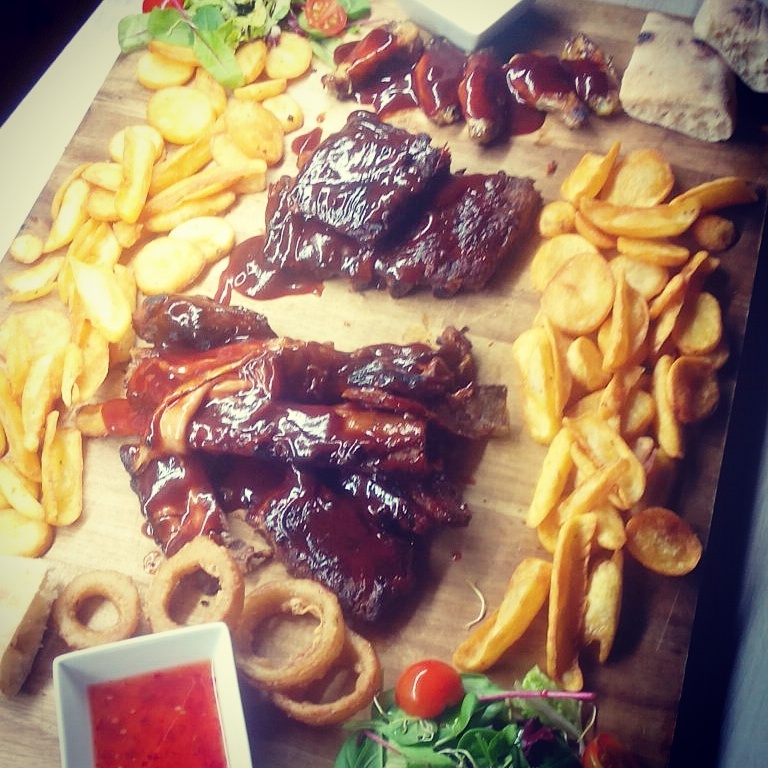 Baby back ribs, Veal rib & Chicken wings with onion rings, tzatziki roll, flat bread, potato and Ranch Sauce. Svinjska rebarca, Teleće rebro i pileća krilca sa kolutićima od luka, tzatziki rolicom, lepinjom, krumpirom i Ranch umakom. Baby back ribs, Veal rib & Chicken wings with onion rings, tzatziki roll, flat bread, potato and Ranch Sauce. Copyright © 2015 R&B Food. All rights reserved.